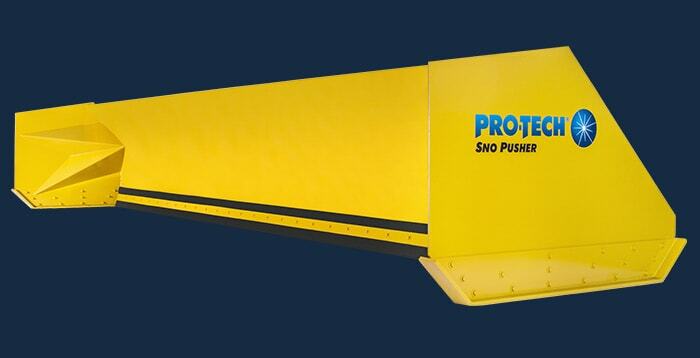 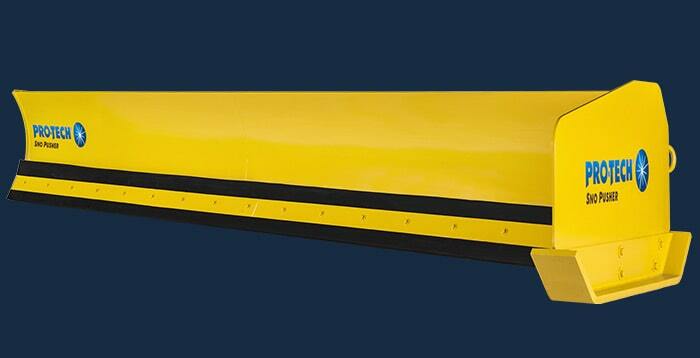 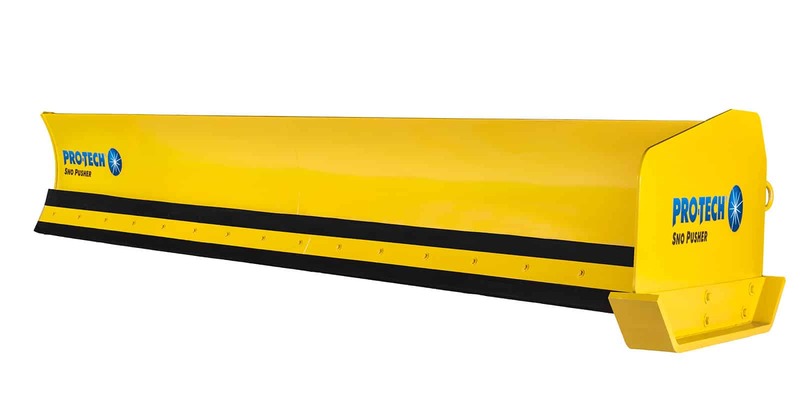 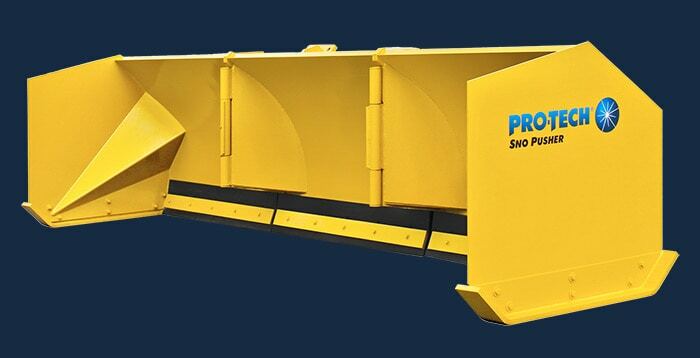 The Low Profile Angle Sno Pusher is a specialized model that allows customers to clear snow from underneath parked trailers and other hard to reach areas. 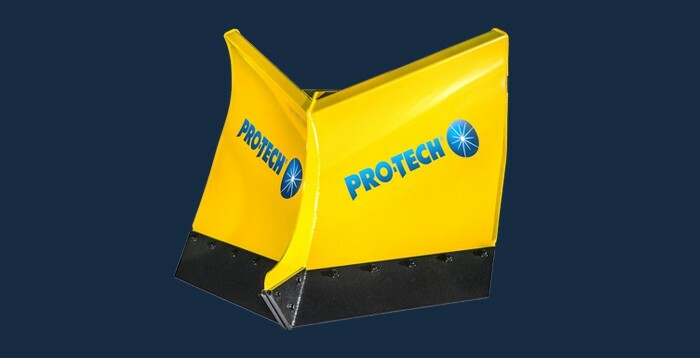 The ability to windrow with the Low Profile Angle Sno Pusher can be useful in areas where dispersing snow to the side is required. 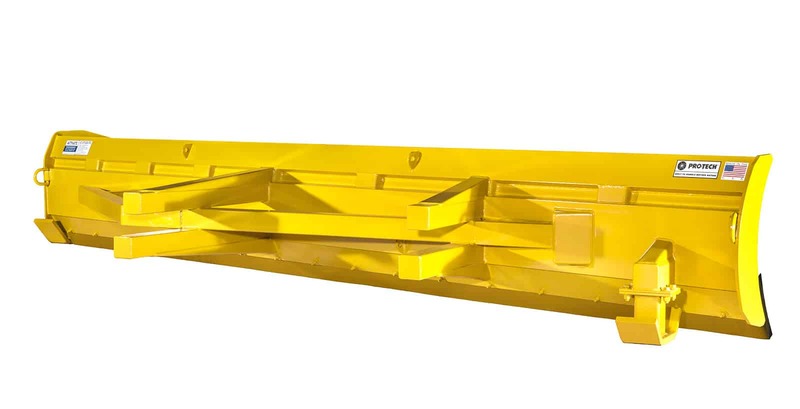 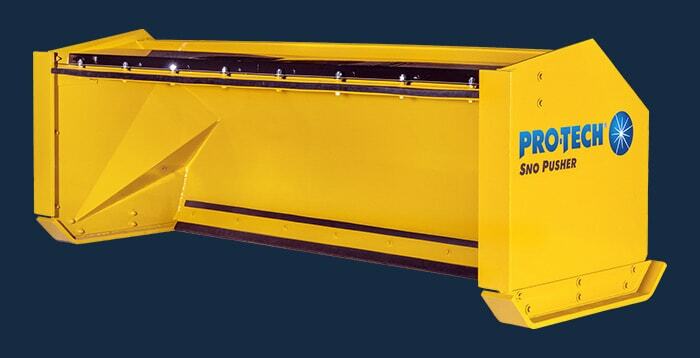 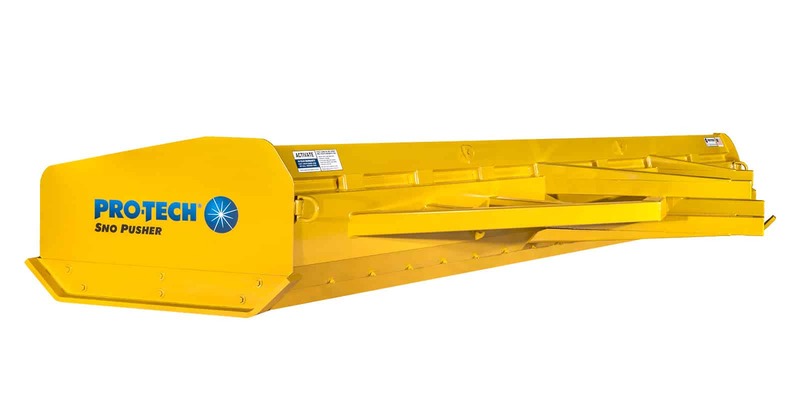 Just as our Pullback Sno Pusher can help you to eliminate the need for shovelers and snow blowers, the Low Profile Angle Sno Pusher can help you reduce labor and equipment. 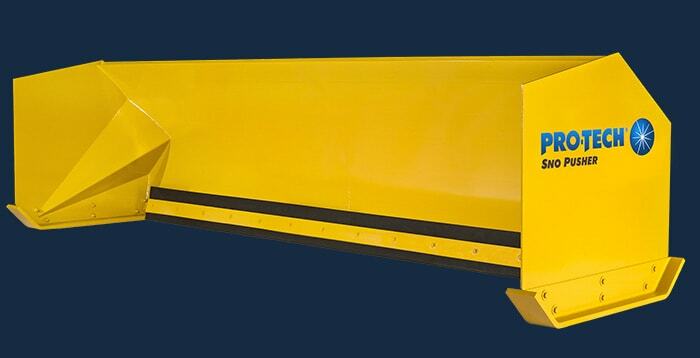 What was once a difficult or nearly impossible job requiring many bodies and equipment is now easy. 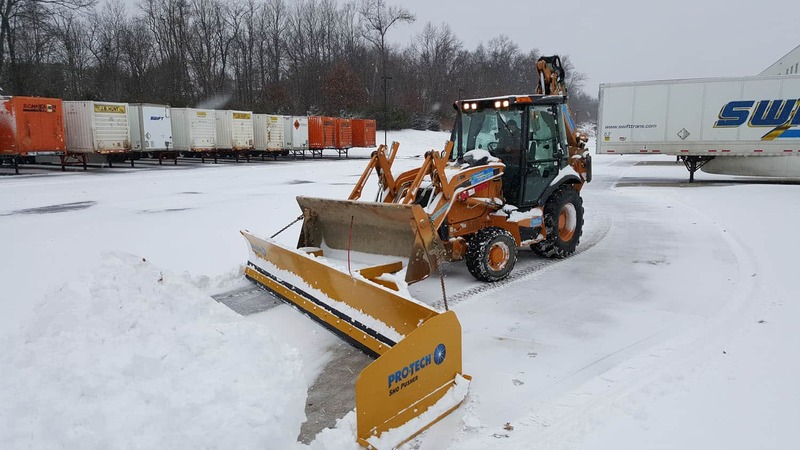 "The use of Pro-Tech Sno Pushers has allowed us to reduce the amount of time it takes to clear a parking lot. 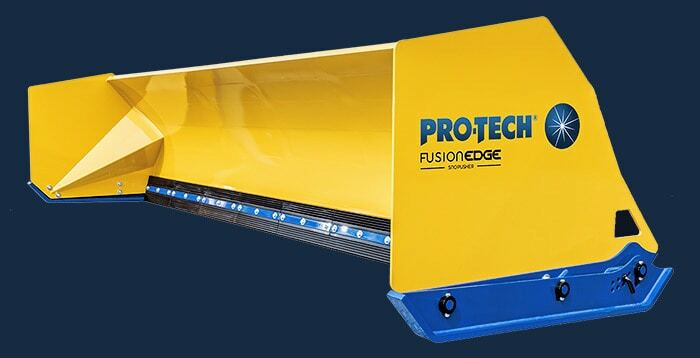 We are big on Pro-Tech because they are big on the industry. 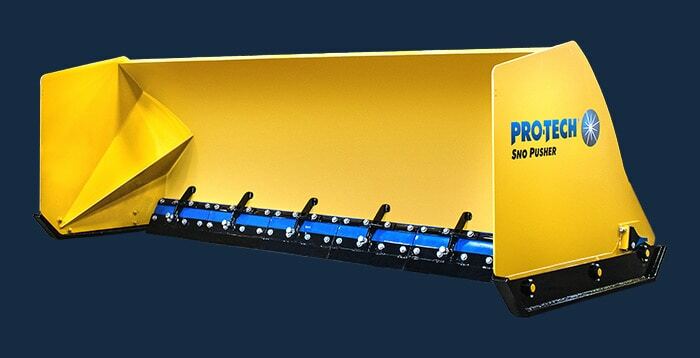 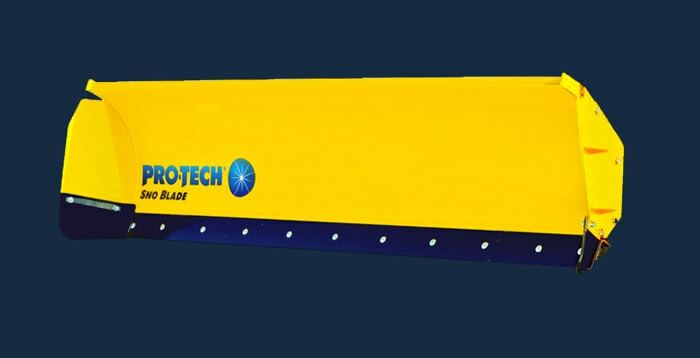 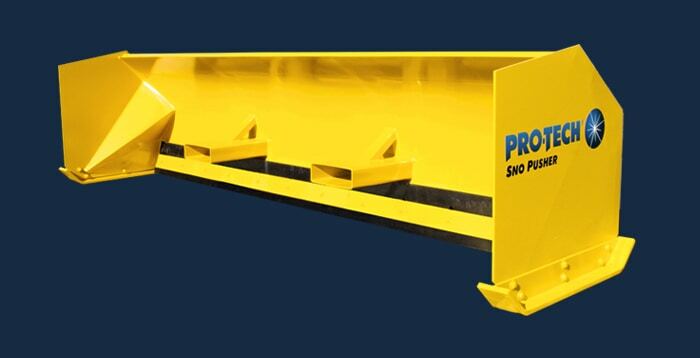 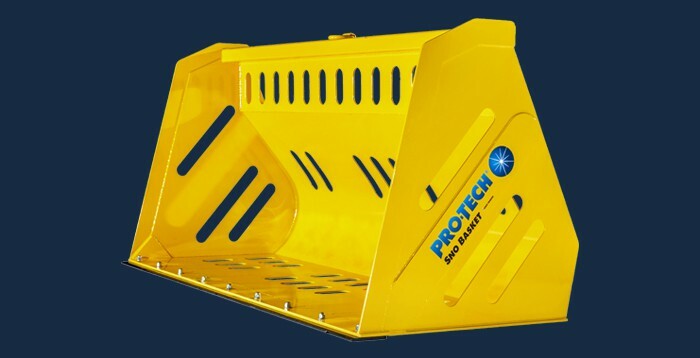 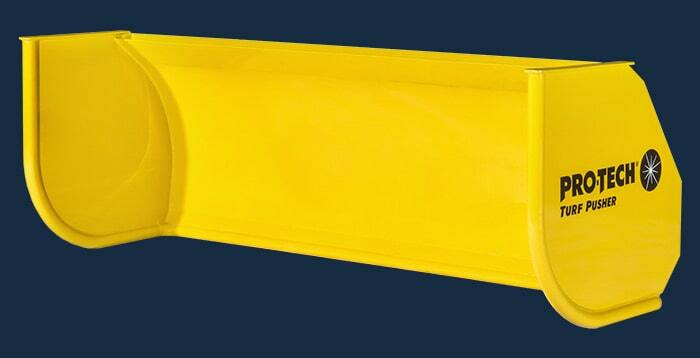 Pro-Tech has been the leader in developing cutting edge technology in the pusher market." 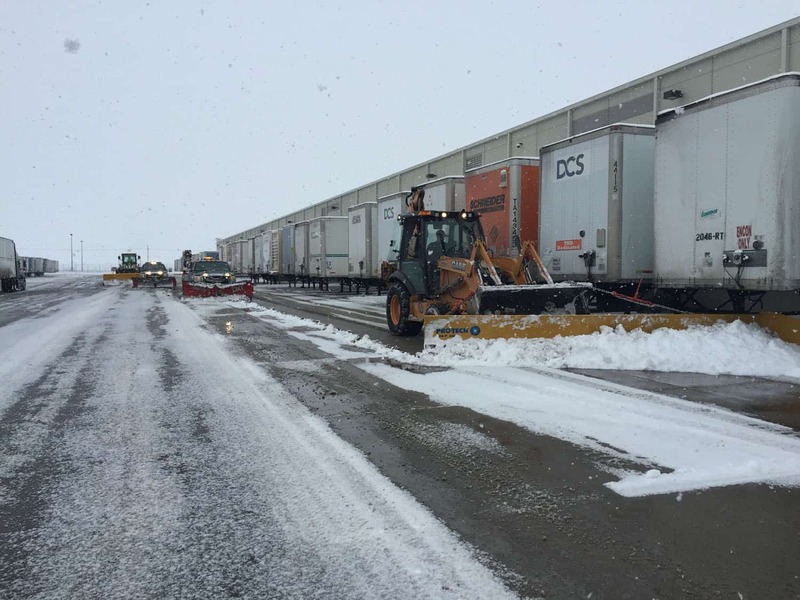 "We have done the snow management at this warehouse for three seasons. 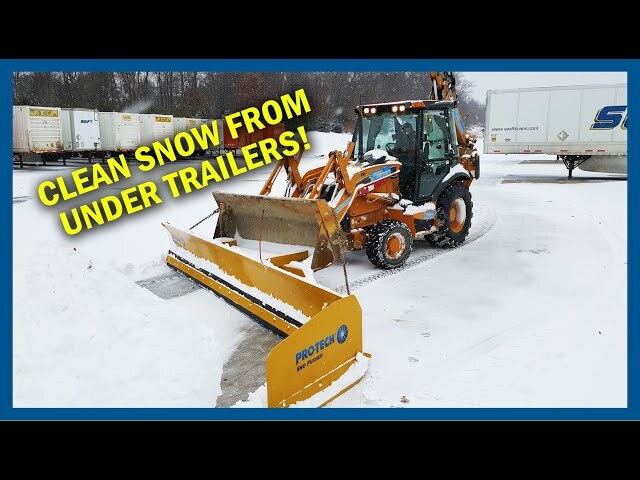 This past winter we added the Low Profile Angle Sno Pusher to our fleet just to cut down on our cleaning time under trailers. 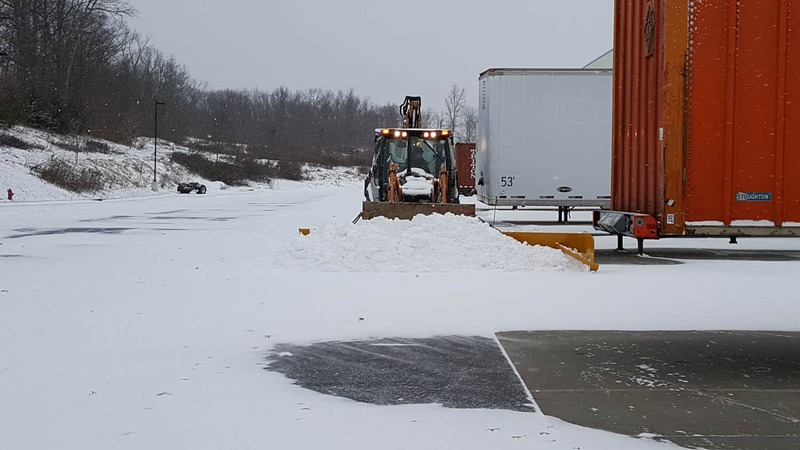 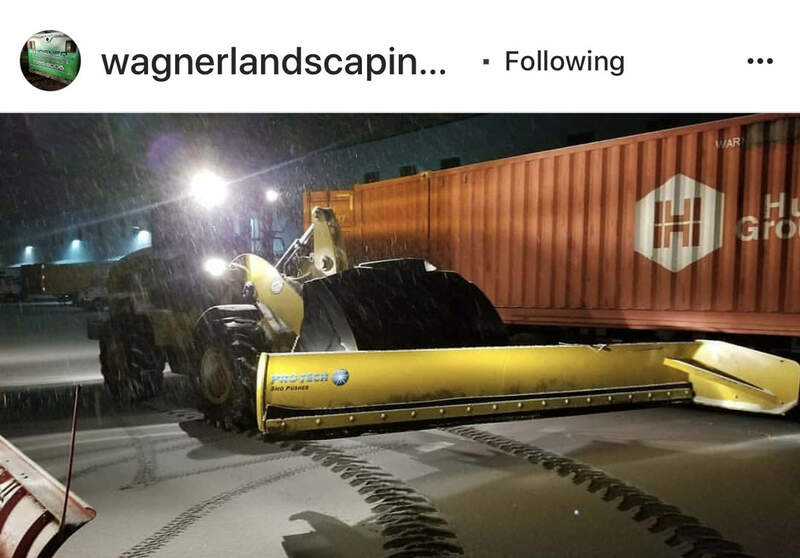 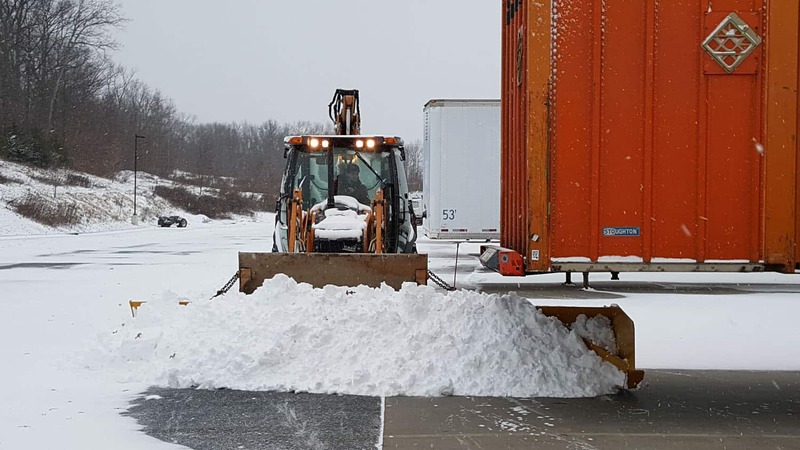 After using it the first storm we not only cleaned under trailers at an extremely fast rate, but we used it for all roadways in the complex and cut our equipment and labor usage by more than 50%."